Trevor Hayes moved to Southern Nevada in 1992 to cheer on his beloved Runnin’ Rebels as a student at UNLV. In subsequent years, he fell in love with the state of Nevada. His passion for higher education and his adopted state prompted to him to seek and win election to the Board of Regents in 2014. 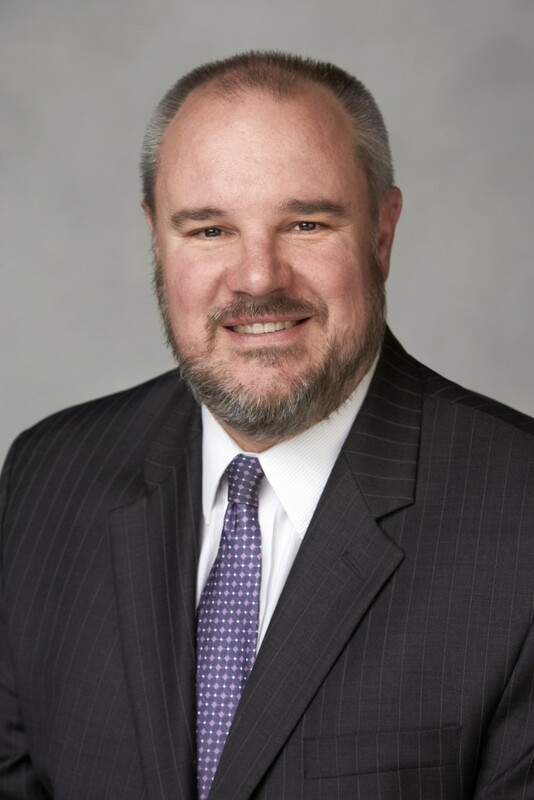 He currently serves as chair of the Business, Finance and Facilities Committee and vice chair of the Audit, Compliance and Title IX Committee. He is also a member of the Investment Committee and the Security Committee. In January 2017, Regent Hayes was appointed to the Board of Directors of the UNLV Campus Improvement Authority. Regent Hayes spent the first 18 years of his life in the rural California town of Tehachapi before coming to Nevada to be the first in his family to graduate college. While he is proud of his more than 20 years as a Nevadan, his wife Erin Russell’s Nevada roots date back to the 1840s. Erin is a third-generation UNR graduate, who also received her Ph.D. from UNLV, and a master’s degree from George Washington University. The couple are the proud parents of two (usually) wonderful children. Regent Hayes served on the board of directors for the UNLV Alumni Association from 2010-2013, including two years on the executive committee. After UNLV, Regent Hayes worked as a newspaper reporter and in marketing in Las Vegas before attending law school in Chicago at Northwestern University School of Law. After law school, he returned home to Nevada where he practiced law at the state’s largest law firm, as a criminal prosecutor, and ran his own firm for five years. Regent Hayes now works for a large, international health care company. During his career, Regent Hayes has worked for the state’s largest law firm, newspaper and advertising agency. Regent Hayes was a newspaper reporter for the Las Vegas Review-Journal and the Associated Press. Regent Hayes served as a prosecutor in the Clark County District Attorney’s office.